Sliced Bread is a new iOS game where you... waith for it... slice bread. There's actually a lot more to the new title from Sliced Bread (yep, also the studio name) than that though. 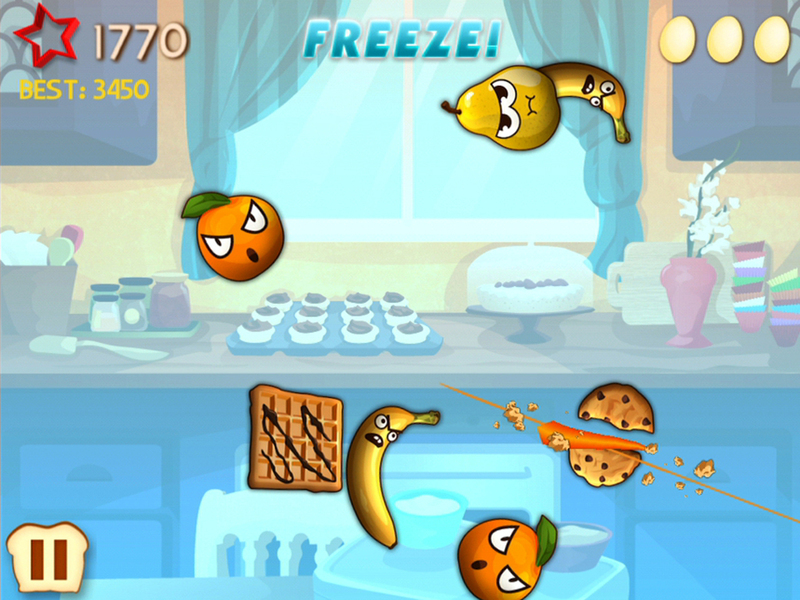 This Fruit Ninja-esque game has you slicing and dicing as a pastry chef in a bunch of different ways. Just watch out for the fruit, because everybody knows fruit is evil. 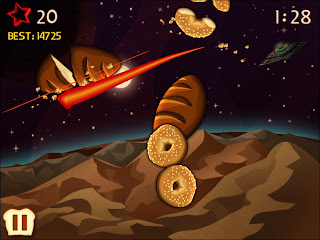 Sliced Bread has two game modes – Extreme Baking and Pastry School. In Extreme Baking mode, players have 90 seconds to slice as much bread as they can before time runs out! In Pastry School apprentice bakers need to slice as much bread as they can without slicing any of the evil Angry Fruit or breaking eggs – otherwise, it’s game over! 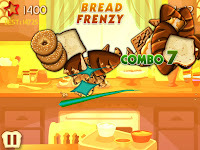 Players will earn points during gameplay that can be converted into dough to purchase new slicers, bonus breads, hilarious powerups, and kitchen upgrades in the item store. The game has a really nice little pedigree too with it's dual creators sharing time with EA, 2K Games, Namco/Bandai, and IGN. Sliced Bread's timer just rang, and the game is available now on the App store for .99 USD- check it out in both iPhone and iPad (HD) flavors.